Small children are energetic and curious explorers, perfectly primed to soak up bright ideas and information with an enthusiasm we wish we could bottle! Whether it’s recounting what happened at the park today or explaining how “the dog” left the bathroom tap on, using language in a social setting to share and make sense of their world is a brilliant sign of preschool or kindergarten readiness. “Stories do not just develop children’s literacy; they convey values, beliefs, attitudes and social norms which, in turn, shape children’s perceptions of reality,” professor of language and literacy education, Peggy Albers told The Conversation. Tip: Take turns at the dinner table talking about the best thing that happened to you today. Ask lots of questions to encourage your child to bring their story to life and to further develop their language. Make it a daily habit. Playing with and alongside others – one-on-one or in groups – sets the stage for social and emotional learning and allows children to develop skills that help them nurture relationships. This sort of play helps children feel good about themselves and provides some more structured opportunities for self-expression, creativity, problem solving, communication and negotiation. Tip: Play a simple I Spy game together. You could spy things by colour or shape or ‘letter sound’, and be sure to model good sportsmanship as you take turns, make your guesses, encourage one other and ‘win’. Daily life is full of trusty patterns which help us navigate time, tasks and the order of our day. Children are little lovers of routine and observing these trusty sequences (like waking up and having breakfast, for example) provides boundaries and helps them predict their day. Awareness of routines helps you ready your child for kindergarten or preschool and feel more secure as they transition from home to childcare. 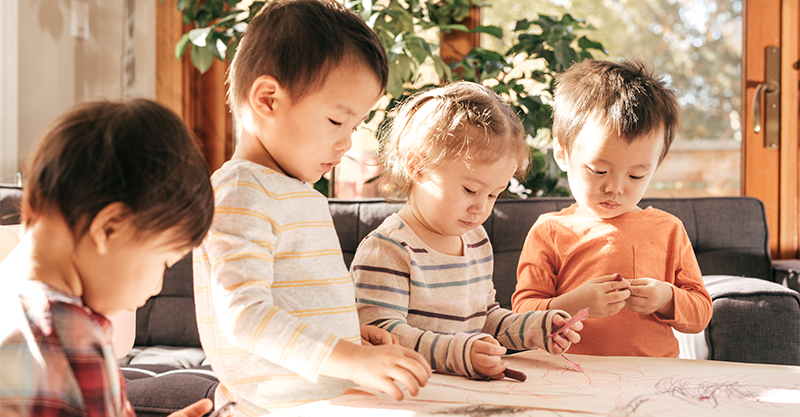 Tip: Help your child spot the patterns that provide structure to their day – and write them down together with pictures to illustrate each time and task. This can help you frame the rhythm of their day at preschool or kindergarten in a familiar way – which is a brilliant way for them to feel more at ease and prepared. At around preschool or kindergarten age, children begin to master holding a pencil – or a crayon – correctly. While correct grip can take time – and might not be achieved until early primary school – children will transition to a more sophisticated attempt and begin drawing and writing more carefully too. Tip: Help your child refine their grip by giving them age-appropriate drawing tools. Educators suggest crayons cut to one inch length will help your child grip more carefully. Other activities like playing with Lego, spooning ingredients into mixing bowls and sorting beans into jars are all excellent fine motor primers that will help nurture writing skills too. Research tells us that nurturing literacy skills from a very early age ensures your child not only has a brilliant head start educationally, but it gives them the gift of stories. Books can help them make sense of their own lives, take them on exciting adventures and teach them interesting new things. Reading together sparks little imaginations, provides opportunities to explore fresh ideas and is a cosy way to take time out and bond. Tip: Borrow age-appropriate books from your local library and let your child steer the story – and turn the pages. Board books are best for very small children, and you can graduate to less chunky story books as your child matures. Science says the earlier you start, the better. Your child doesn’t have to know all their colours and shapes when they begin preschool or kindergarten, but having an awareness of these concepts gives them an even better start. 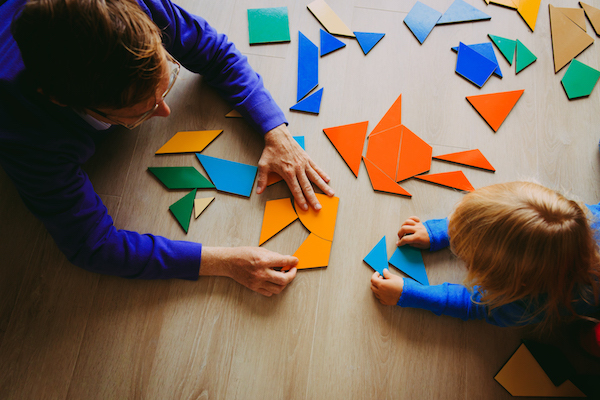 Children are like little sponges when it comes to learning opportunities and colours and shapes help them to categorise visual information, spot patterns and make connections between objects. A little bit of knowledge helps provide a lot of order in your preschooler’s day. Tip: Spot colours and shapes when you’re out and about together. Spend the day pointing out “everything red” on your way to the market. Note all the “round things” you see as you walk to the park. Some children will be able to accurately count to ten when they commence preschool or kindergarten, and others will take their own good time. 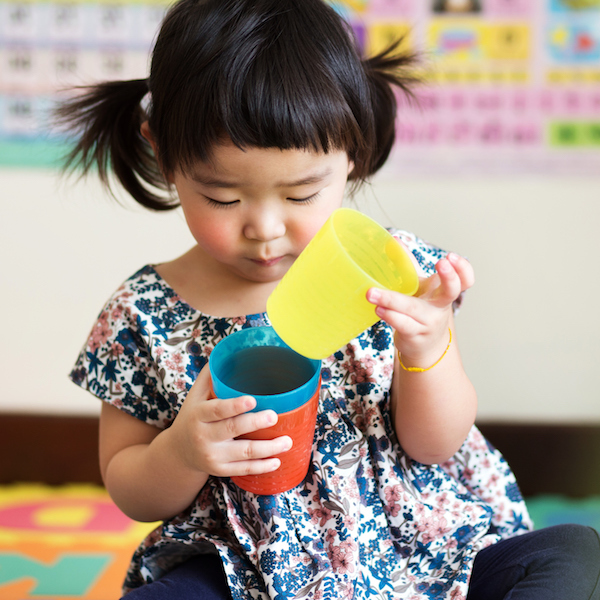 Children learn when they’re developmentally ready, and connect the words (“one, two, three”) with the objects they are counting (three socks) at their own pace. Awareness of the basic concepts of numeracy (and counting socks!) is another step towards kindergarten readiness. Tip: Find fun ways to count together as you go about your day. How many socks are in the laundry baskets? How many eggs go into this cake? Let everyday life determine your ‘lessons’ and your child will naturally develop these basic early numeracy skills. Of course, children all develop in their own unique ways and have their own strengths. We’re keen to celebrate all little learners, whatever their pace – and are thankful for all the brilliant, simple truths they teach their parents and carers in the process.